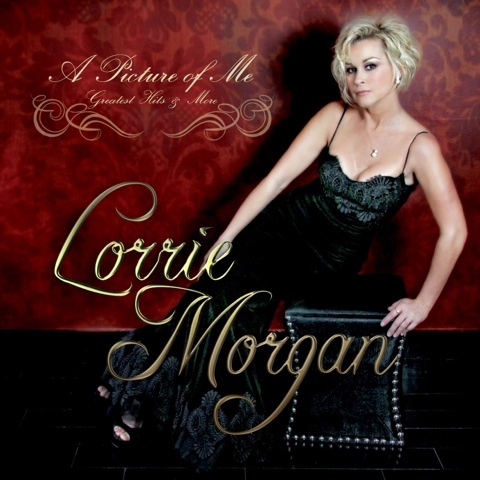 NASHVILLE, Tenn. (March 1, 2016) – Good things come in pairs, and this season legendary country music songstress Lorrie Morgan celebrates two new album releases, back-to-back. Following the February 12 release of her first new studio album in five years, Letting Go… Slow, released by Shanachie Entertainment, Morgan will celebrate the juxtaposed March 18 drop of a brand new compilation album, A Picture Of Me – Greatest Hits & More. The new project is a product of Goldenlane Records, (a division of Cleopatra Records), a label that's been extremely active in the country music genre, having recently released new albums by such stars as the Oak Ridge Boys, Collin Raye, Little Texas and TG Sheppard, amongst others. A Picture Of Me – Greatest Hits & More is now available for pre-order oniTunes and Amazon. Having lived a life of great loss and triumph, Morgan has been quoted saying, “In many ways, my life has been a country song.” In an article published byPeople Magazine Morgan revealed that although a lot of good things have happened to her, the tragedies have been overwhelming. Devastated by the loss of her father, country star George Morgan when she was just 16; and then the unexpected death of her husband and fellow country star Keith Whitley when she was in her late twenties, Morgan’s first years of career success were far from painless. Her song “Dear Me” became her first Top 10 hit shortly after Whitley’s death, followed by “Out Of Your Shoes,” and “Five Minutes,” which both skyrocketed to No. 1. “Here I am,” she told People Magazine, “In this tragedy, and I had something I had wanted for so long, a hit record. And as much as I thank God, I say, ‘thanks, but please – make it a little easier.’” Through the years, Morgan has credited her audiences for being her therapists and helping her make it through those hard times through music. Now, nearly two decades later, a wife, a mother, a grandmother, legendary country star and four-time Female Vocalist Of The Year, she says she is happier than ever, and two new music projects on the horizon are just icing on the cake. The album is produced by Matt Legge. March 4 Grand Ole Opry – Nashville, Tenn.
March 11 Harris Center At Folsom Lake College – Folsom, Calif.
April 15 The Calumet Theatre – Calumet, Mich.
April 22 Shooting Star Casino– Mahnomen, Minn.
April 23 HCGWD Events Center– Baraboo, Wis.
Stay up-to-date on all of Lorrie Morgan’s forthcoming new projects on her official website,lorrie.com or follow her onTwitter and Facebook!